Peter Bashara grew up in his father’s veterinary clinic. As a sixth grader, he cleaned kennels after school and did other jobs around the Omaha animal hospital. Everyone asked him the same thing: Are you going to grow up and become a vet like your dad? Until one day in junior high school when he finally said yes. Today Peter doesn’t remember that encounter, but his dad does. And now Peter can’t imagine doing anything else. 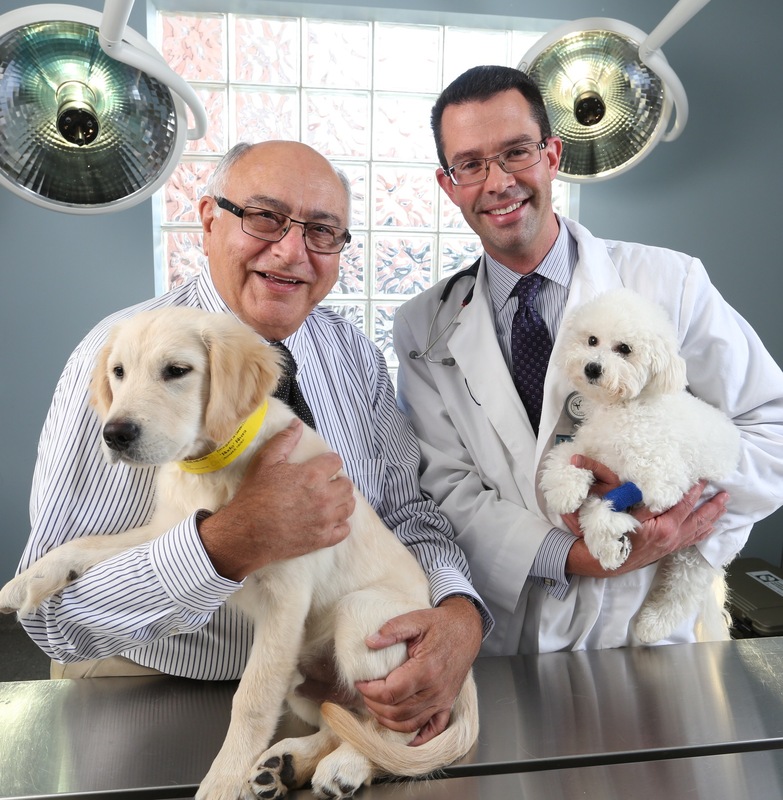 Dr. T. Robert “Bob” Bashara (’63 DVM) founded the Mapleview Animal Clinic in 1965. He practiced alone for 17 years before hiring a second associate veterinarian. In 1985, he expanded the practice to a second clinic, Candlewood, on Blondo Street in Omaha. His third clinic – a state-of-the-art animal hospital at 153rd and Maple on Omaha’s west side – opened in 1999. All three clinics are now known as Gentle Doctor Animal Hospitals. Dr. Peter Bashara (’93 animal science, ’97 DVM) followed his father’s lead and attended Iowa State, but with a slightly different experience. Bob was a veterinary trailblazer in the early days. “I was thrown to the fire with nobody to bounce things off of,” he says of his solo practice. Bob says his son’s decision to join the practice convinced him to expand to a third clinic, and it gave him peace of mind. Both veterinarians are active in their professions. In 2007, Peter received the Midlands Business Journal’s “40 Under 40” award. He works with the Nebraska Humane Society and the Animal Emergency Clinic. Bob is actively involved with the national Doris Day Animal Foundation, for which he serves as the chief financial officer. The business transition from father to son has been nothing but smooth, they both agree. There’s no doubt: Thanks to son Peter and Iowa State, the answer is YES.